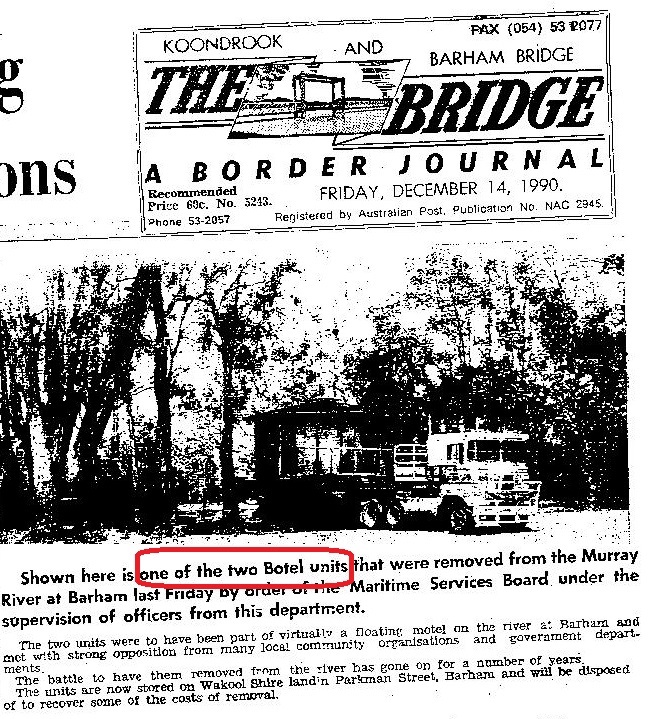 Here is the Order which is referred to in the previous 1990 Barham Bridge news article. It is sworn as being a true copy of the original. When questioned about it Mr Voyer stated that he had not seen the Order. He also stated that Official Orders are listed in a Register. 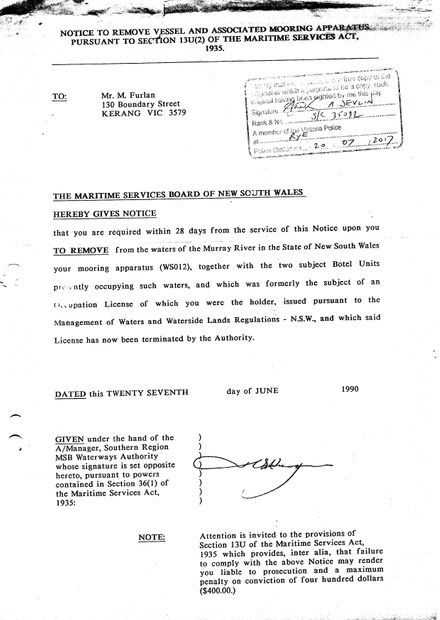 NOTE : The Order does not carry the seal of the Maritime Services Board. 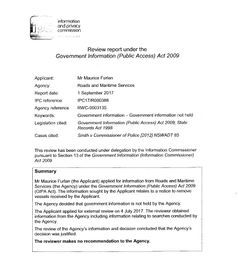 Below is a recent FREEDOM OF INFORMATION application about the NSW Maritime REGISTER which records NOTICES TO REMOVE VESSELS.